Whether your dog only goes outside for short walks or spends hours outside in the cold weather, you need to know these things to keep dogs warm in winter.Even when your dog has a thick winter coat, it’s possible for them to get chilled in winter weather. 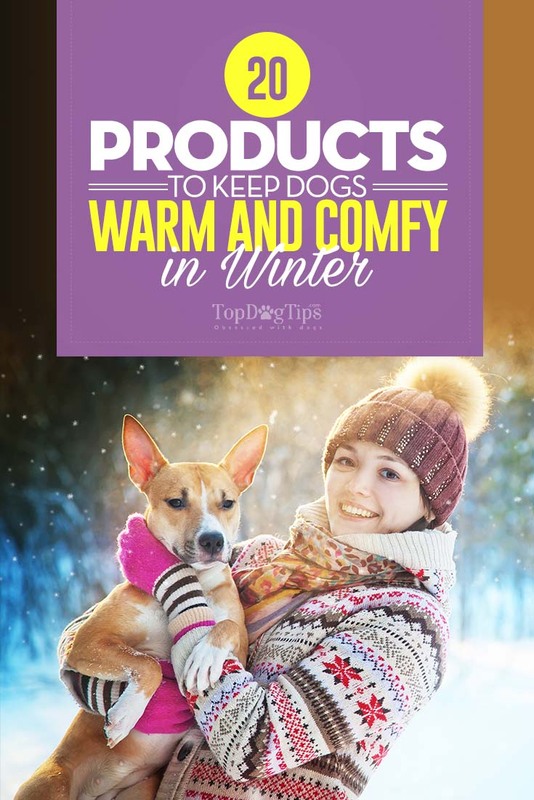 Fortunately, there are many products on the market designed to keep your dog warm on even the coldest nights! 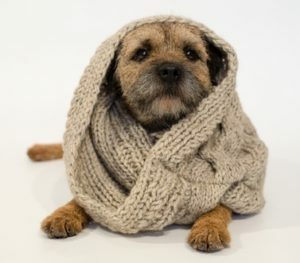 It may seem “silly” to dress your dog in a coat or bundle them up in a blanket, but as your dog’s guardian, it’s your job to keep them safe, healthy and comfortable. This means that in colder weather, you should always take precautions to keep your dog warm no matter how “silly” it might seem. Using dog winter clothes might seem inappropriate but veterinarians actually encourage sweaters, boots and other items. 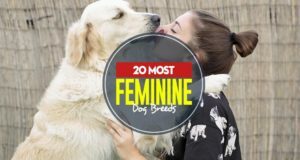 Of course, the precautions that you take will need to be based on your dog's needs. The things to keep dogs warm in winter that are available vary from thick warm doggy jackets to booties for their paws. While your dog's natural fur coat may be enough to keep his body warm, his paws still require protection from the ice and snow. All of these dogs require a little help to pull heat close to the body to keep them warm and avoid illness. Where sweaters are a good way to keep dogs warm indoors or outdoors in the warmer winter weather, jackets are good for the really cold days. Jackets have a higher level of insulation and they can be waterproof. So, whether it’s raining or snowing, your dog’s jacket will not absorb water and end up soaking their fur. Some jackets are sold with hoods or other “attachments”, but the most practical is simple jackets that cover the body but allow freedom to potty as well. One of our favorite lines of outerwear is from Gooby. Boots can protect your dog’s feet from sharp ice, hidden dangers in the snow, and de-icing chemicals. These things to keep dogs warm in winter also keep your pup’s feet toasty by insulating them and preventing the hair and skin between paw pads from getting cold and wet. There are a lot of variations of dog boots available, but when shopping for winter boots look for grippable rubber soles and interior insulation. It is also helpful to have a waterproof exterior to keep feet dry! Keep in mind that snowsuits can be very arduous to put on and take off, so if they have no real benefit for your dog over a thick jacket, opt for the jacket. They make our list of things to keep dogs warm in winter because they can be useful, but sometimes there is an easier solution to help your pooch. A snood is like a knitted tube that covers from behind a dog’s ears to the bottom of their neck. Snoods are most commonly seen on greyhounds and other dogs with a long neck. They are used to keep this thin and muscular area of the body warm. Snoods are just one piece of winter dog clothing necessary for greyhound-like dogs because their bodies have extremely low body fat and very short thin fur. This means very little natural insulation at all, which where a snood can really help, especially during cold winter months. Dog-friendly heating pads are a great way to keep dogs warm inside the house during winter. These pads can be self-warming or heated, but they are made to be safe for dogs to lie on. Heating pads for dogs are particularly useful for elderly dogs or dogs will illnesses that make it hard to maintain body temperature. The pad provides a steady source of warmth when the body cannot. Heated beds work much the same way as heated pads do, but they have the heated pad built directly into the bed. Most often these beds are self-heating, meaning they are built from materials that warm when activated by pressure. If you're looking for simple things to keep dogs warm in the winter, this is a very easy option. Heated beds, also known as dog bed warmers, are appreciated by most dogs in the colder months, but they can be expensive. It may surprise you to see heated toys on our list of things to keep dogs warm in winter. For some dogs, particularly those with thick coats, heated beds and heating pads can be too much. These dogs may, however, appreciate a heated toy for a little more warmth. Heated toys usually contain a reheatable pad that can be warmed in the microwave. This pad is then placed inside a toy to provide warmth without being too hot to the touch. These toys can also be beneficial in comforting anxious dogs and new puppies by imitating another living body. Thick blankets are a practical and easy source of warmth for dogs. Adding a few extra blankets on your dog's bed allows them to snuggle or burrow to keep warm. Make sure to wash your dog’s blankets regularly during the winter to prevent dust and dander buildup. Winter allergies are particularly common and can result from dust mites and dander. Raised beds keep your dog lifted off the floor and out of drafts which makes them ideal for winter. Raised beds have the added benefit of air flow around the bed which helps keep odor to a minimum. These elevated dog beds also keep a cushion of air under your dog so that their joints are not lying directly on the hard floor. This makes raised beds a great choice for senior and arthritic dogs too. Drafts slip under doors and through poorly insulated windows and can give you and your dog a chill. While it’s best to improve insulation, draft protectors are a cheaper solution to stopping cold breezes. Draft protectors can be hard to find, but they are always available through Amazon or you can make your own with fabric and dry rice or beans. Not all dogs are comfortable wearing boots, but paw protection is still important for keeping paws warm. The most often used type of paw protection is paw wax or paw balm. 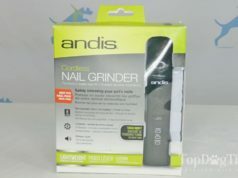 Musher’s Secret is our favorite brand and one used frequently by musher’s on their sled dogs. Waxes and balms protect the surface of the paw by putting a protective layer between the paw pad and the ground. This stops de-icing chemicals from damaging paws but it also keeps paws warm by preventing snow and ice from sticking to paw pads. Warming harnesses are a newer product on the market. These harnesses fit like any other harness but they have a pocket on the underside that holds a reheatable pad. The pad is heated in the microwave and slips into the harness, providing warmth against the chest. Warming dog harnesses are good for pets that don’t fit well in traditional jackets but need the additional warmth. They are also ideal for providing warmth without the bulk of clothing that can often be burdensome. An additional benefit of warming harnesses is that they are affordable and they can often be used for cooling as well. Not every dog owner likes the idea of potty patches, but for dog owners who live in particularly harsh environments, they can be a good investment. Potty patches are an indoor tray with faux grass on top. The grass encourages your dog to go to the bathroom on the patch and the tray underneath collects urine. Potty patches must be cleaned regularly and can be an odorous problem if not maintained. They can be a good solution for dogs living in states with exceptionally rough winters or dogs living in high-rise apartments. If you do use a potty patch to help your dog stay warm in the winter, it’s best to keep it in a utility room or even on a balcony where you can windproof your dog’s potty area. Some dog guardians make their own potty patches using real turf and plastic wading pools or Tupperware containers. Warming hammocks are another relatively new product. A large piece of fabric that fits over the back seat of the car and the back of the front seats, the hammock serves to keep your dog in place when traveling. Most car seat hammocks are not heated, they simply act as a barrier and keep seats clean. Heated hammocks, however, offer a heated surface so your dog stays warm on those cold winter mornings. Are you noticing a trend? Many of the things to keep dogs warm in winter have a heating element, which you could have certainly figured out on your own. However, you may not have realized that you can purchase warming sofa covers to help your pup. Similar to warming hammocks, warming sofa covers have the same purpose but are designed to fit over sofa seats. While traditional sofa covers are quite affordable, when they have a heating feature built into them they can be quite expensive. Heated dog bowls are an added touch of comfort for cold winter days. If your home has a little bit of a chill to it, you can use a heated dog bowl to keep water at room temperature. Most frequently, heated dog bowls are used for dogs that live outdoors and stay out during very cold winter months, but since we don’t believe in keeping dogs outside, we like using them to keep water tepid indoors during winter as well. Covered beds are perfect for dogs that like to snuggle as well as dogs that have an additional need to keep warm. There are multiple designs of covered beds, but all involve a hood that covers the bed for additional warmth. Some have hoods that flop down over your dog while others have a structured hood that sits up like a half umbrella. The warmest variety of hooded bed is the one without a structure inside the hood as it allows your dog to burrow inside. You should know that not all dogs are well suited to these types of beds, as the feeling of something touching them or trapping them can cause anxiety. Along with covered beds comes the option of having your pup sleep in your bed with you. This is one of the things to keep dogs warm in winter that won't cost you a dime. Plus, sharing body heat will keep you both snuggly warm while you sleep. Pajamas are another of the simple things to keep dogs warm in winter that can be used for short-haired dogs or dogs with low body fat. Pajamas can also be used to keep your dog warm if your home tends to get a little chilly during the winter months. Dog pajamas are available for every size dog, but they are most often made for small breeds and can be hard to find for particularly large dogs. When it’s cold and rainy or cold and snowy, your dog can chill much faster once their fur gets wet. Although they look amusing, dog umbrellas can be a good way to protect your dog’s fur from getting wet. Dog umbrellas sit over your dog’s head and attach to a stiff leash-like handle. For the most part, however, these are built for smaller dogs and don’t really protect larger dogs from getting wet at all.